Dreams do come true! Broadway Balances America, the special six-part series airing on The Balancing Act on Lifetime Television, continues its third season on September 26 (the episode will re-air on October 3) with an exclusive look at the touring production of Finding Neverland. Tune in as The Balancing Act takes viewers behind the scenes of the Broadway.com Audience Choice Award-winning musical, which kicks off its touring production on October 7. In this episode, correspondent Amber Milt takes viewers to meet original Broadway cast member Laura Michelle Kelly (Sylvia) who reveals what it was like creating and bringing to life this strong female character that inspired J.M. Barrie to achieve his dreams. 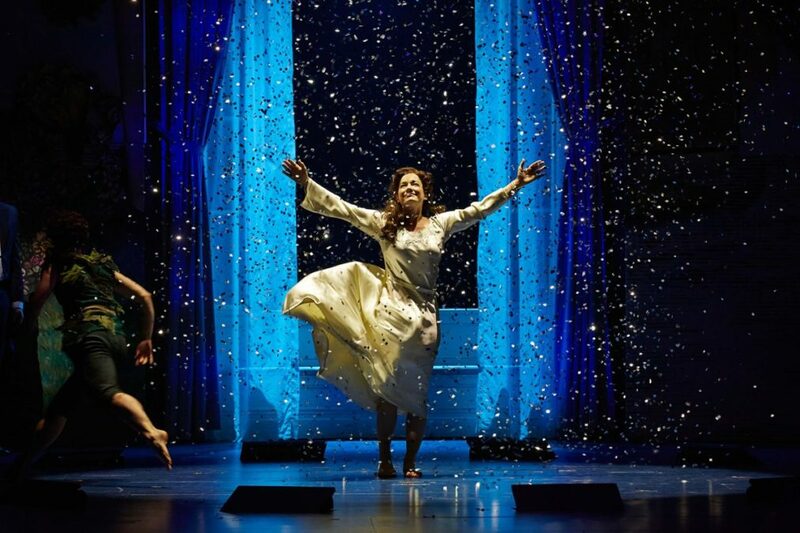 We'll also hear from visionary Tony-winning director Diane Paulus (Waitress, Pippin, Hair) and Emmy-winning choreographer Mia Michaels (So You Think You Can Dance) as they share their inspiration and process of bringing the magical and creative world of Finding Neverland to the stage. Based on the critically-acclaimed Oscar-nominated film starring Johnny Depp, Finding Neverland tells the incredible story behind one of the world’s most beloved characters: Peter Pan. Playwright J.M. Barrie struggles to find inspiration until he meets four young brothers and their beautiful widowed mother. Spellbound by the boys’ enchanting make-believe adventures, he sets out to write a play that will astound London theatergoers. With a little bit of pixie dust and a lot of faith, Barrie takes this monumental leap, leaving his old world behind for Neverland, where nothing is impossible and the wonder of childhood lasts forever.